A beautifully constructed floor plan for an independent house. 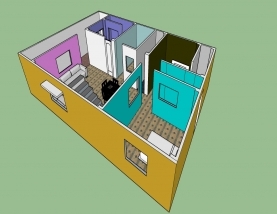 This house has a built up area of 630.78 square feet. It has a lot of space and is designed like that it can be used for a family of four people.